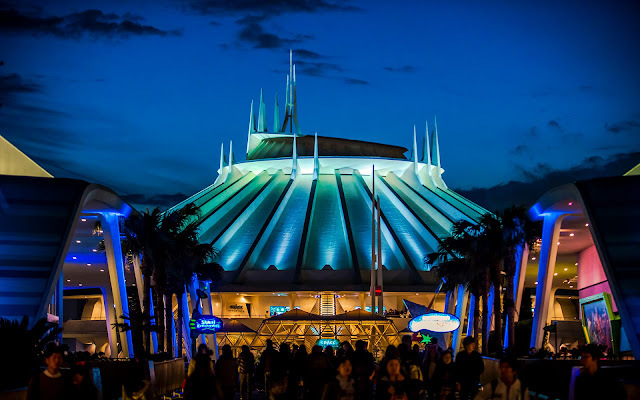 From the seaport of tomorrow to the spaceport of tomorrow, today, we continue our Tokyo Disney spree with a look at their Tomorrowland--or specifically, their Space Mountain show building at dusk. 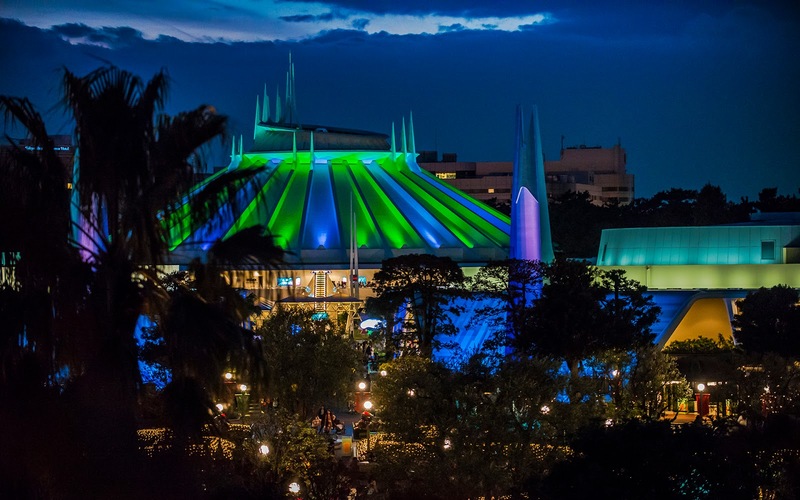 Ride-wise, Space Mountain at Tokyo Disneyland is identical to that of Walt Disney's Original Magic Kingdom (as well as Hong Kong Disneyland's), but from a show building perspective, the approach and angles is more unique, since it serves as the prominent icon of the land. Set back at the end of the long boulevard leading into Tomorrowland, Space Mountain is a majestic and lovely site. 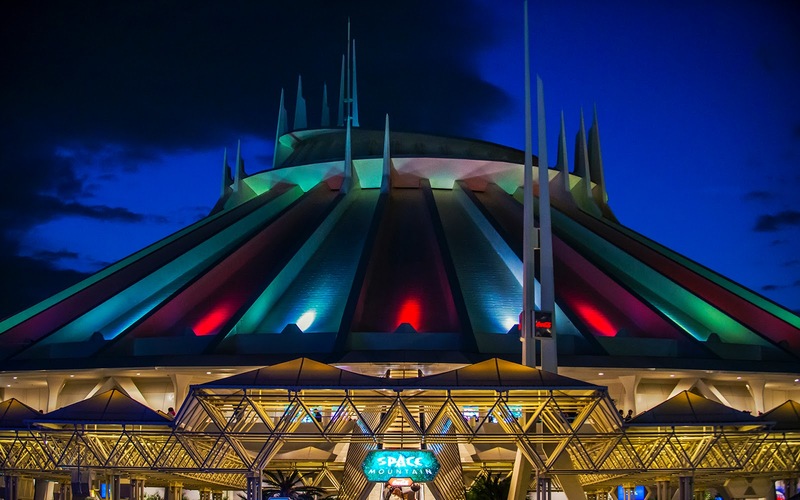 Combined with a fantastic lighting package at night, and the attraction makes for a dazzling sight! Looking at Space Mountain across the park from the Swiss Family Robinson Treehouse in Adventureland. Entering the main thoroughfare in Tomorrowland, with Space Mountain looming. Finally, coming upon the iconic E-Ticket itself!